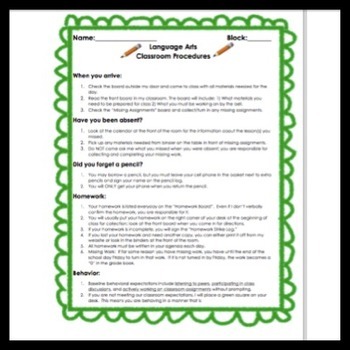 Put your best foot forward as you start the school year with revamped policies and procedures to maximize learning in your Middle School ELA Classroom. Policies and Procedures enhance your classroom management, garner respect from students, and maximize instructional time. Investment on the front end of the school year in developing clear policies and procedures will set you up for success. These policies are designed with the Middle School ELA classroom in mind, but they can be easily differentiated for any subject area. All files are included as Word documents and PDF files, so you have the opportunity to differentiate for your classroom. 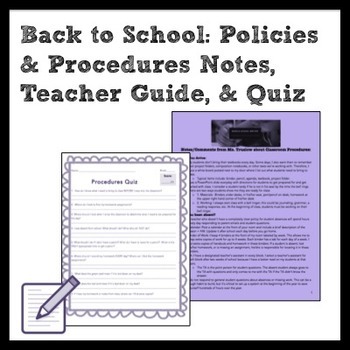 This 3-page document outlines policies & procedures for the following topics: when students arrive in the classroom, absences, getting a pencil in class, homework, behavior, incentives, getting out of your seat, and miscellaneous items. 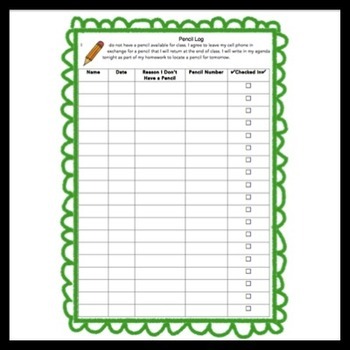 Each topic includes specific procedural information for students. The topics listed are the most important for you to include in policies and procedures. You can use the specific procedures outlined, or you can customize the information using the Word file. The Policies and Procedures outlined are best practice based on social psychology and classroom management literature. 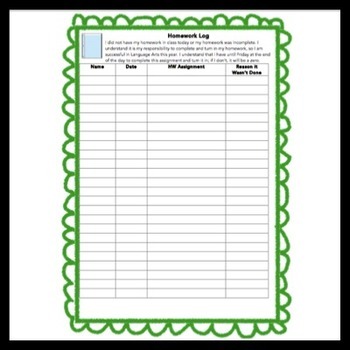 The first document is for students; this document is designed for teachers. I wrote a 3-page commentary that elaborates on each point of the student notes and offers ideas for differentiation and what has worked well for me in my classroom. After I have reviewed policies and procedures with students, I give a quiz that is their first grade for the school year. 18 of 25 questions cover policies and procedures; the other 8 are questions about student interests and learning styles. The quiz has two purposes. First, I want my students to start the year feeling confident in their abilities with a grade that makes them excited to keep learning. Second, I keep the student survey data and reference it constantly throughout the year to motivate students and build relationships. Answers to the quiz are in Word in Microsoft Comments. This is described in detail in student policy/procedures notes. Word and PDF files included.